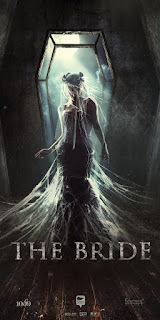 Tekkie Pinas: Get Ready To Be Scared By "The Bride" This May 10! Get Ready To Be Scared By "The Bride" This May 10! For more updates on films/movies released, distributed, and acquired by Solar Pictures, follow them on Facebook, Twitter, and Instagram via @solarpicturesPH.